WE HAVE ONE OF CALIFORNIA’S ONLY 18 CONSUMER BANKRUPTCY LAW LAWYER SPECIALISTS IN OUR FIRM–AND OVER 100 YEARS OF COMBINED BANKRUPTCY LAW EXPERIENCE. The Southern California Bankruptcy Law Center has a team of lawyers and paralegals with years of experience who are trained to assist you through the troubling process of filing for Bankruptcy. Our lawyers consist of the some of the most highly trained and experienced bankruptcy attorneys in the country. 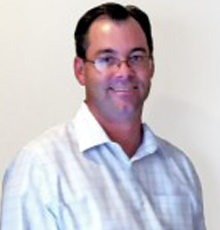 Mr. McGoldrick has been a licensed California attorney for over 24 years. He began his bankruptcy career working for a bankruptcy trustee in the Central District of California while he attended Southwestern University School of Law in Los Angeles. While working for the Trustee’s office he worked on and helped administer thousands of bankruptcy cases. This experience working in the Chapter 7 Bankruptcy Trustee’s office allowed him to see every type of bankruptcy case filed and allowed him to sharpen his expertise with regards to his bankruptcy cases. After passing the bar he moved to the Inland Empire where he continued to practice bankruptcy as well as probate law and immigration law. Therefore, he is one of the few bankruptcy attorneys in San Diego County who have a vast experience with the inner workings of the Riverside Bankruptcy Court as well as the San Diego Bankruptcy Court. This experience practicing in the Inland Empire allows him to assist our clients who live in Temecula and other parts of Riverside and San Bernardino County. Mr. McGoldrick has focused almost his entire career on Bankruptcy law and is admitted to practice law in every district in California. Mr. McGoldrick moved to San Diego in 2001 and in that time he has filed over 2,500 bankruptcy cases in the Southern District of California Bankruptcy Court (San Diego Bankruptcy Court) and many more in the Central District of California Bankruptcy Court as well. Mr. McGoldrick along with Attorney Ahren Tiller handle the majority of the firm’s Chapter 11 cases. His experience in complex corporate and individual Chapter 11 reorganizations has been extremely helpful for our clients. Attorney Ahren Tiller has been extensively practicing in the field of Bankruptcy Law for over 11 years. Ahren Tiller is one of only four Attorneys in California tripled certified as a Bankruptcy Law Specialist, Consumer Bankruptcy Law Specialist, and a Business Bankruptcy Law Specialist. He is certified by the California State Bar Board of Legal Specialization as a Bankruptcy Law Specialist, and also certified by the American Board of Certification as both a Specialist in Business Bankruptcy Law and Consumer Bankruptcy Law. Ahren Tiller is the youngest Attorney in California to have achieved certification in all three specialty areas of Bankruptcy Law. 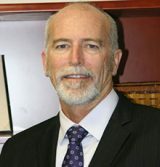 He has been the attorney of record on over 7,000 bankruptcy cases in the United States Bankruptcy Court for the Southern, Northern, Eastern and Central Districts of California, and has been the attorney of record in over 50 adversary proceedings in the United States Bankruptcy Court for the Southern District of California. Furthermore, he has been appointed by the court as the Debtor’s Counsel on multiple successfully confirmed Chapter 11 reorganization cases. Mr. Tiller has successfully prosecuted many cases to trial, whereby he has obtained verdicts after trial in excess of $1 million. Ahren Tiller has worked on multiple appeals in State and Federal Court, and has orally argued matters before the California’s 4th and 2nd Circuit Court of Appeals and the Federal 9th Circuit Court of Appeals. Attorney Ahren Tiller is a member of the National Association of Consumer Bankruptcy Attorneys, American Bar Association, Federal Bar Association, San Diego County Bar Association, and a board member of the California Bankruptcy Forum. He was the 2017 President of the San Diego Bankruptcy Forum, and still serves as a board member on the SD BK Forum. Further, he was a committee member on the Southern District Bankruptcy Court’s Chapter 13 Rights and Responsibilities Committee, and participated in the Judge’s committee to draft the new Southern District form Chapter 13 plan. He has completed over 200 hours of continuing legal education in the field of bankruptcy law, and has attended multiple conventions and seminars covering multiple areas of bankruptcy law. Further, Ahren Tiller focuses a significant portion of his practice on Consumer Protection litigation. He is currently a lead attorney on multiple class action lawsuits filed on behalf of a class of consumers. He has successfully litigated multiple actions in federal district court under the Fair Debt Collections Practices act, Telephone Consumer Protection Act, Fair Credit Reporting Act, and California’s Unfair Competition Laws. Thus, if you have a complex Chapter 7, 13, or 11 bankruptcy case, or need other debt related assistance, or are facing a trial in Bankruptcy Court, Federal District Court, or State Court, Ahren Tiller is ready to assist. Carolina Kotzias Tiller was born and raised in Brazil. She graduated in law from the Pontifice Catholic University of Parana (Brazilian Law School) in 2003, and thereafter became a lawyer in Brazil. Ms. Kotzias graduated at the very top of her law school class. She impressed her law school professors so much that after graduation she was invited to become the youngest law school professor at the University of Tuiuti of Parana. After 2 years of working at the university, Ms. Kotzias Tiller decided to move to Boston, Massachusetts, in order to be closer to her Mother and Sister who were living in the United States at that time. After working in the United States as a medical interpreter for two years in order to perfect her English, Ms. Kotzias Tiller enrolled herself in the New England School of Law, in Boston, MA. While at the New England School of Law, Ms. Kotzias Tiller received the Cali Award for Academic Excellence in Modern Remedies and was placed on the Dean’s List. In May of 2008, Ms. Kotzias received her Master’s of Law Degree (LLM). After earning her Master’s Degree in Law, Ms. Kotzias sat for the California Bar Exam. She passed the California Bar Exam in 2008 and became a California Licensed Attorney (only 21% of all foreign lawyers who sit for the California Bar Exam passed – Ms. Kotzias passed on her first attempt). Ms. Kotzias has focused her entire career in the field of bankruptcy law. She has worked on thousands of bankruptcy cases and is extremely familiar with all five (5) Bankruptcy Judges in the Southern District of California Bankruptcy Court, as well as all nine (9) Chapter 7 Trustees, and both of the two (2) Chapter 13 Trustees. She has developed a great reputation around the local bankruptcy community and is known for diligently advocating for her clients. Carolina Kotzias possesses a passion for the area of bankruptcy law. Her goal is to help every one of her clients get their life back on track and receive a fresh start. Her diligence, intelligence, and great reputation within the bankruptcy community allows her to provide her clients with the best representation possible. 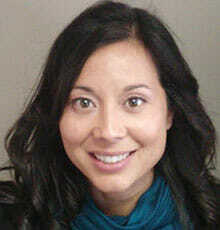 Attorney Anika Renaud-Kim has dedicated her entire career to the practice of Bankruptcy Law. She graduated at the top of her class from California Western School of Law, Since becoming a lawyer Attorney Anika Renaud-Kim has worked only in the field of Bankruptcy law. In doing so she has worked on over a 1000 bankruptcy cases on behalf of her clients. The majority of the Bankruptcy Cases she works on are Chapter 13′s and in doing so has gained extensive experience with the Chapter 13 Trustees’ offices in both the Central and Southern Districts of California Bankruptcy Courts. She is extremely professional, knowledgeable, and diligent in her representation of her clients. If you have a bankruptcy related issue in Southern California ranging from an upside down property, repossession, or foreclosure, then Ms. Renaud-Kim is definitely able to assist you. Attorney Derek Soinski practices solely in the area of Bankruptcy Law. He has worked on over 1000 bankruptcy cases in the Southern District of California Bankruptcy Court. He graduated from the University of West Georgia at the top of his class, receiving a Bachelor’s Degree in Business. After graduation he worked in the area of fiance for an emerging investment capital firm, where he developed a background in the banking and finance industry. 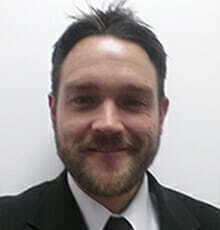 Mr. Soinski later attended California Western School of Law in San Diego receiving his law degree. While in law school, he was a member of the business law society, named to the Dean’s List, and graduated at the very top of his class. 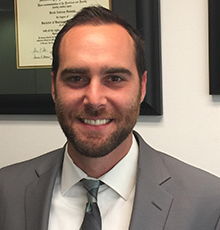 After graduating from law school, Mr. Soinski passed the California Bar Exam on his first attempt and began working solely in the area of Bankruptcy law. Attorney Derek Soinski works on a majority of the Bankruptcy Law Center’s Chapter 7 bankruptcy cases, our business cases, and works closely with Attorney Ahren Tiller on all of the adversarial proceedings or complex litigation cases that come through our firm. Unlike many of the general area of practice firms, Bankruptcy is the only area of law in which Derek Soinski and the other lawyers at Bankruptcy Law Center, APC practice. Mr. Soinski has amassed many accomplishments throughout his career, including authoring an article published by the prestigious California Bar Report. He has worked on over 1000 bankruptcy cases and possesses extensive experience in the field of bankruptcy law. Attorney Derek Soinski is a skilled practitioner who has appeared before all of the bankruptcy court judges in the Southern of California on multiple occasions, therefore if you are faced with debt related issues and looking into filing bankruptcy, he can definitely help. Christian Spaulding obtained his undergraduate degree from Chapman University in Orange, CA with a bachelor of science in accounting. While completing his undergraduate studies, Mr. Spaulding was the recipient of the prestigious Wall Street Journal Student Business Award. Mr. Spaulding graduated at the top of his accounting program at Chapman University and proceeded to attend law school at Chapman University School of Law where he received a merit scholarship based on his undergraduate studies performance. During law school, Mr. Spaulding distinguished himself as an executive board member of the Chapman Law Review. Mr. Spaulding participated in the tax law emphasis program at Chapman School of Law where he assisted taxpayers in their battles in tax court against the Internal Revenue Service.